Dress yourself in the shades of the season as suggested by the autumn/winter 2013 runways. Change is the only constant in life. And in the fashion world, it is constant every season. With changing weather, fashion pundits decide to change trends and you're expected to change your wardrobe too. If the slight chill in the air is any indication, then it is already fall and the winter is approaching fast. It is time you updated your closet with the season's most exciting offerings keeping the colour code in mind as suggested by the runways of Autumn/Winter 2013 in Milan, Paris and New York. Move over black; grey is the way to be! Whether it is in a dark or light hue, grey is one colour that you can count on to make a fashionable statement. It isn't as overdone as black and neither is it too bright to come across as a summer shade. Plus, it works wonderfully well for both formal as well as casual occasions. 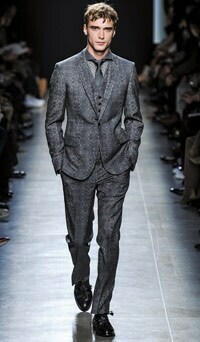 An all grey suit look is just the way you can rock both boardroom and ballroom. The colour of warmth is just what you need when it gets unbearably cold outside. Dark red strikes the right balance between looking too dull and looking too bright and can be worn as a jacket, shirt, sweater or pants. The colour also suits most skin tones and international designers have gone all out pairing this shade with other interesting ones to create a fashionable winter look. No reason you shouldn't follow it! A bit surprising yes, but what is fashion without a little bit of experimentation. Winters have long been associated with navy blues and it is time we brought in a bit of change here. Swap the dark blues in your wardrobe with bright ones and you'll get a look that is trendy, sharp and youthful. 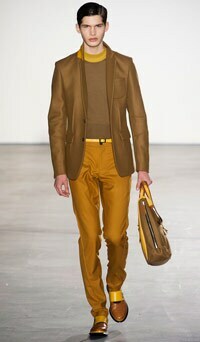 The colour will also help add a little dash of shine to an otherwise dull look. No more fashion blues now! A multi-faceted shade that works in style, no matter what the season! 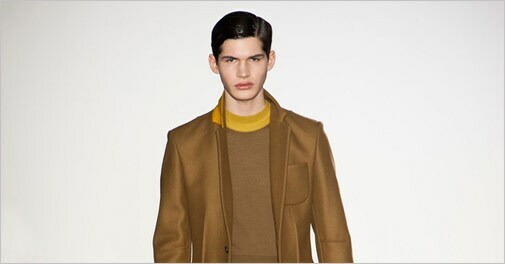 Mustard yellow isn't too bright and isn't too dull making it the perfect colour to flaunt this winter. 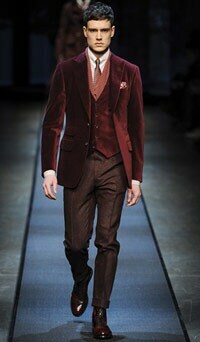 Whether it is a jacket or a cardigan or trousers (if you're daring), the shade cuts quite the fashionable picture. 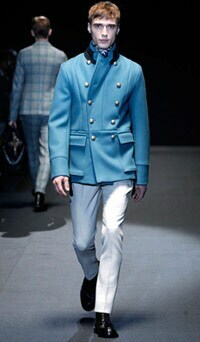 It is soft and muted and suits men of all age groups. You can even pull it off at work.